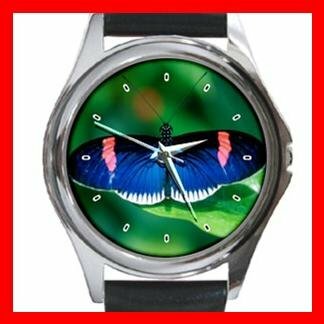 You are viewing the HOTTEST Unisex Metal Wrist Photo Watch. - Unisex silver-tone high quality watch. - The watch casing measures approx. 1 1/2" in diameter, the watch band fits most wrists from approx. 6 1/2" to 8". - The watch band is made of genuine leather. - Miyota watch movement made by Citizen. - Watch battery is included. This product will be shipped from Hong Kong. Orders will be processed and shipped within 1-3 Business Days after receiving clear funds. Delivery from Hong Kong can take anywhere from 5-14 business days. The Item will be well packaged by the bubble envelope.